Did you know that Orthodontics by Birth, Stewart & Fletcher offers many options for orthodontic treatment other than traditional metal braces? 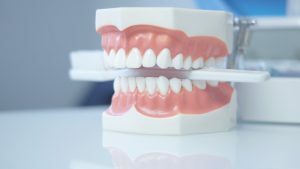 We understand that there are people of all ages who would love to have their teeth straightened, but do not want to deal with the hassle of wearing a mouthful of metal. Although braces are sometimes seen as a “right of passage” for teenagers, we feel that it is important that you find a treatment plan that is right and comfortable for you no matter how old you are. We offer clear, or invisible, braces with Invisalign®. This clear alternative to braces consists of a series of aligners that straighten your teeth over time as you move between aligners. Drs. Birth, Stewart and Fletcher are excited and proud to have been named a Top 1% Invisalign Provider in North America for 2016. This distinction means that we are specialists in this type of treatment and that our doctors offer efficiency, precision and affordability. Call today to schedule a complimentary Invisalign® exam to see if you are a candidate for this discreet way to have the smile you have always wanted!